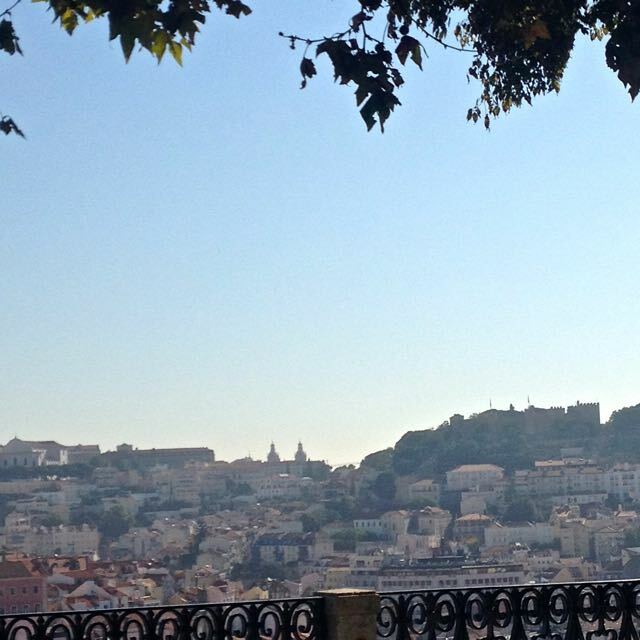 Lisbon in the last week of September. Four days of pure blue skies, daytime temperatures around 28C, balmy evenings. Were we lucky? I suspect this was just what we should have expected. Where to start? Walking shoes on - a must for tackling Lisbon's seven hills and wonky pavements - and let's find lunch. Sol e Pesca is a former fishing tackle shop and as unpretentious a dining space as you could get. Little changed from the its earlier incarnation, this tiny space which spills out onto the pedestrianised street is all about showcasing Portugal's fantastic tinned fish - sardines, tuna, mussels, scallops and more. Make your choices. The original cabinets now display the catch rather than the means to catch. 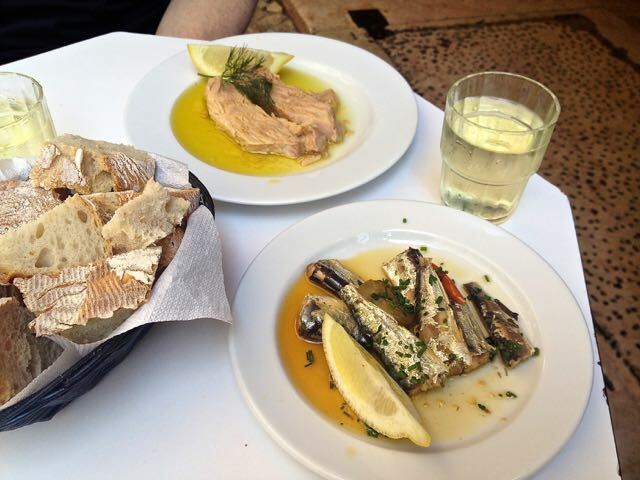 The fish is decanted onto plates with simple garnishes - a lemon quarter and a sprig of dill, perhaps - and served up with decent bread to mop up the excellent olive oil. I recommend the Pinhais Petingas Picantes sardines (small and spicy) as well as the outstanding Atum Galha Á Ré ventresca tuna from the Azores in extra virgin olive oil. A tumbler or two of good Vinho Verde makes it perfect. Expect to pay around Euros 10-15 each. Sol e Pesca is a not-to-be-missed joy. Traditional Portuguese food is generous in its portions. The execution, I think, can be a bit unrefined but if you want to experience good soups like Caldo Verde or Sopa Alho Francês and you're happy with simply grilled fish served with plain boiled potatoes and greens (though to my taste invariably over-cooked ones) then O Pitéu could be for you. This simple restaurant serves speedy lunches to business folk in the Graça district, a stone's throw from the high tourist-count area of Alfama. Just such a lunch with a glass of house wine and a coffee came to Euros 20 each on our visit. 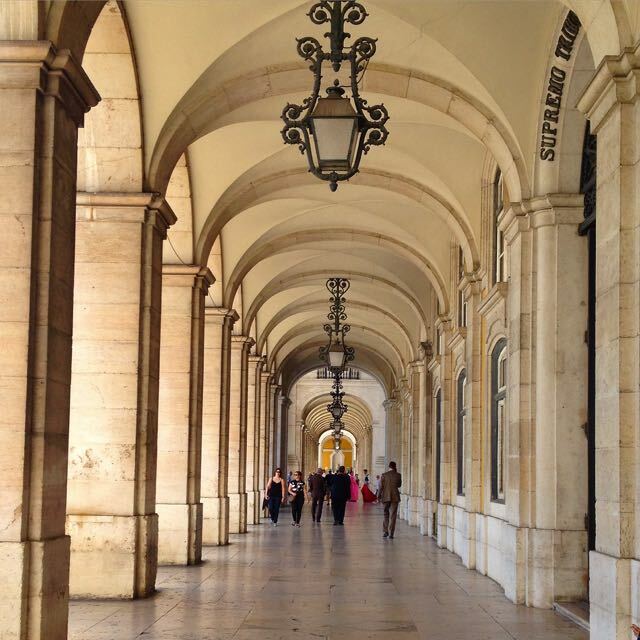 It's a genuine traditional Lisbon lunch spot and you certainly won't leave hungry. If you'd like a more wide-ranging menu, try O Taloh, close to São Sebastião Metro station. The restaurant is a mix of traditional and modern informed by the extensive travels of the chef. The fact this restaurant has its own butcher's shop makes it clear that meat is the main thing here. Expect steaks and burgers along with dishes such as pasta with oxtail and mushrooms or a take on lamb tandoori accompanied by naan and lentils (but I've got to say, green lentils will never make an acceptable substitute for a creamy dhal!). For pudding there may be a Thai-influenced lemongrass parfait or an Argentinian Dulce de Leche "flan" served with a lovely peanut butter ice-cream. There is an amount of 'deconstruction' on the plates here. The restaurant is fairly formal but unstuffy with very good service and wines. Expect to pay around Euros 25-30 each The chef proprietor, Kiko, has also recently opened a cevicheria at Principe Real. 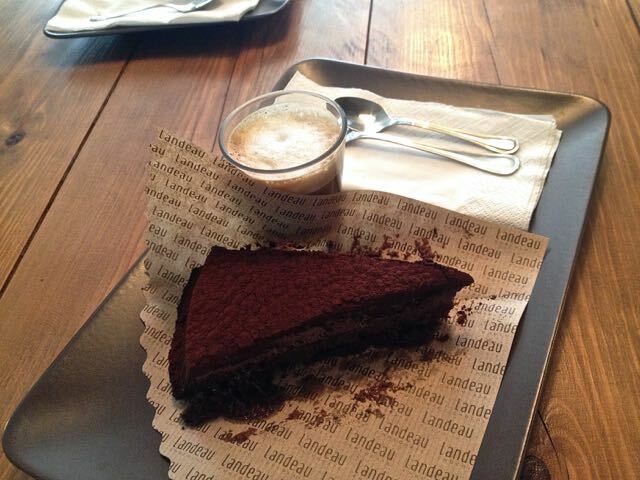 Landeau chocolate and coffee shop is housed in a beautiful room on the Rua das Flores 70. 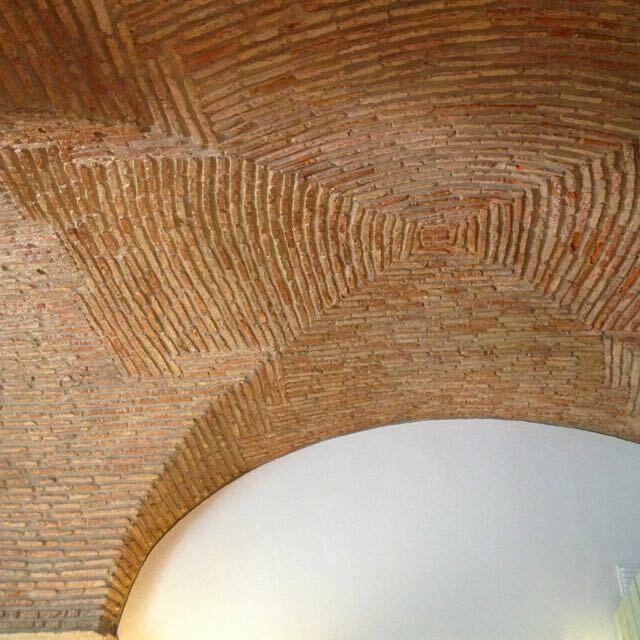 All creamy-white walls and warm brick vaulted ceilings, unlike at Sol e Pesca, this space bears no hint of its former use (a Lisbon brothel). About half way up one of the City's numerous steeply-sloping streets in the Chiado district, it's a welcome pit-stop for coffee, tea or a cup of chocolate. It also serves up one of the most exquisite chocolate cakes I've ever eaten. If you want choice, go somewhere else. This place does what it does beautifully and I like that. There is another Landeau shop in the *LX Factory complex in Alcântara. 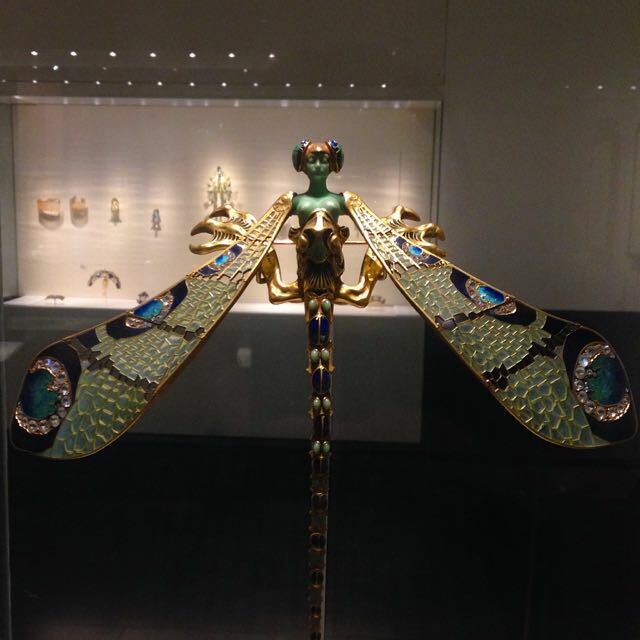 For me, the Museum Fundação Calouste Gulbenkian is not to be missed. Close to São Sebastião Metro station, it has a very accessible wide-ranging collection including Eastern Islamic art, painting, sculpture and decorative arts plus a temporary exhibition space. A separate building houses Modern Art. The galleries exploit the beautiful setting with windows looking out into the surrounding park. The Mercado da Ribeira (also known as Mercado 24 de Julio), just behind Cais do Sodré train station, has been Lisbon's main food market since 1892. The market still trades from 06.00-14.00 but now the draw seems to be Time Out Lisbon Magazine's development of the greater part of the building as a food (and drink) court. Here you'll find "some of the city's most loved names in food and drink". It's not really my kind of thing but it is open every day from 10.00 to at least midnight so it's a useful place to know about. For a market that is less about immediate gratification and more about filling your food basket and feasting your eyes, I recommend a visit to Mercado de Alvalade Norte, close to Alvalade Metro station. 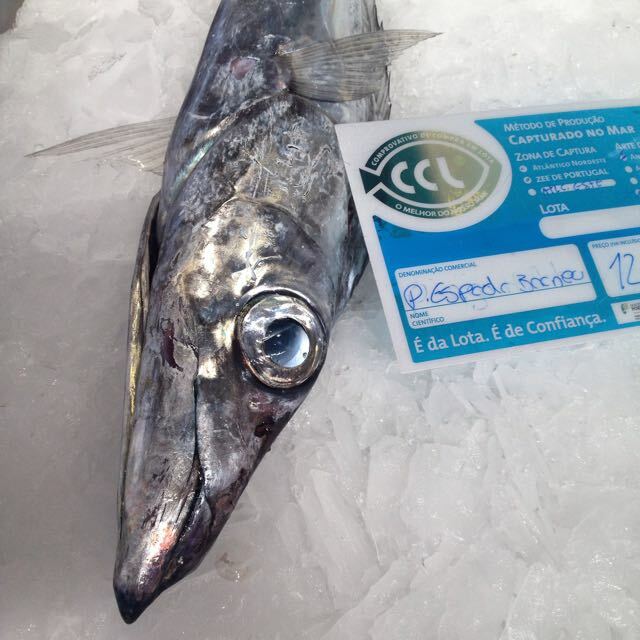 Here you'll find the freshest fish, bacalhau, meats and mainly local fruit and vegetables. As is often found in Spain and Portugal, there is a supermarket attached to the main market for the other everyday necessities. If you were in any doubt how important tinned fish is to the Portuguese, a visit to Loja das Conservas on Rua do Arsenal 130 in the Chiado district will make it clear. The walls of this store are lined with a wholly Portuguese selection of the country's conservers of sardines, mussels, tuna and more. 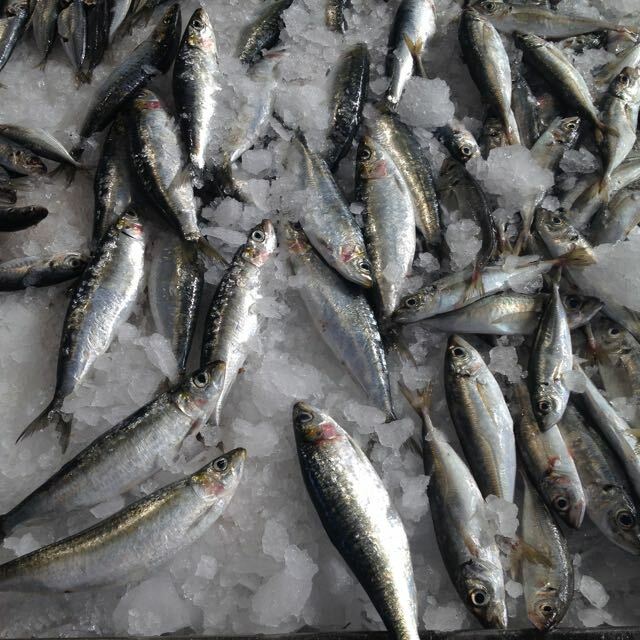 There were no 'Pinhais' on my visit but these 'Millesimes' sardines came home with me. If I hadn't shopped there, I'd probably have picked up a few tins of brand Tricana from Conserveira de Lisboa at Rua dos Bacalheiros. 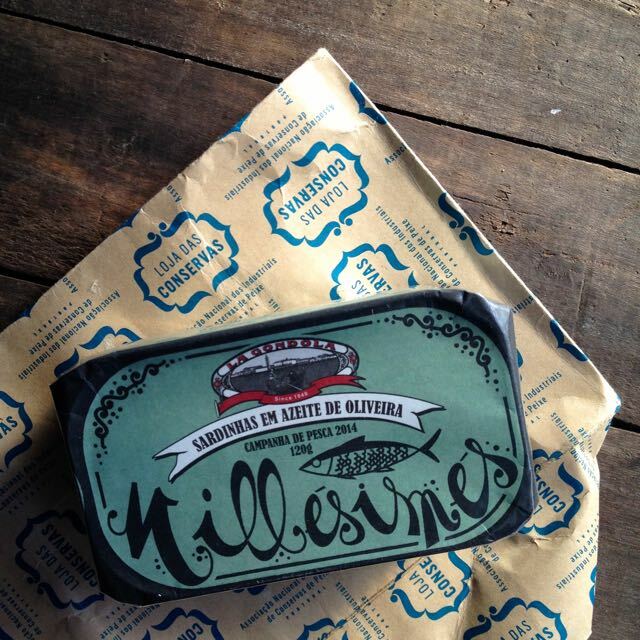 The sardines are good, the package fabulous and the wrapping and tying is lovely to watch. You're bound to want a Pasteis de Nata, the irresistible Portuguese custard tart. For the best in town (and the first , apparently) take advantage of Lisbon's great transport system and head for Antiga Confeitaria de Belém. You'll need a No. 15 tram which runs from Praca do Comercio to Mosteiros dos Jeronimos in the Belém district. The tram drops yous right outside the Confeitaria. My advice is to go as early as you can (they open at 08.00) as later in the day the tourists arrive en-masse. Instead of enjoying a Nata and coffee at the bar with locals, you'll find yourself in a scrum for a take-away and no coffee to go with it - the only way they can cope with the demand. Behind the bar is a warren of rooms where you can eat in all day long if you prefer but you may have to queue. 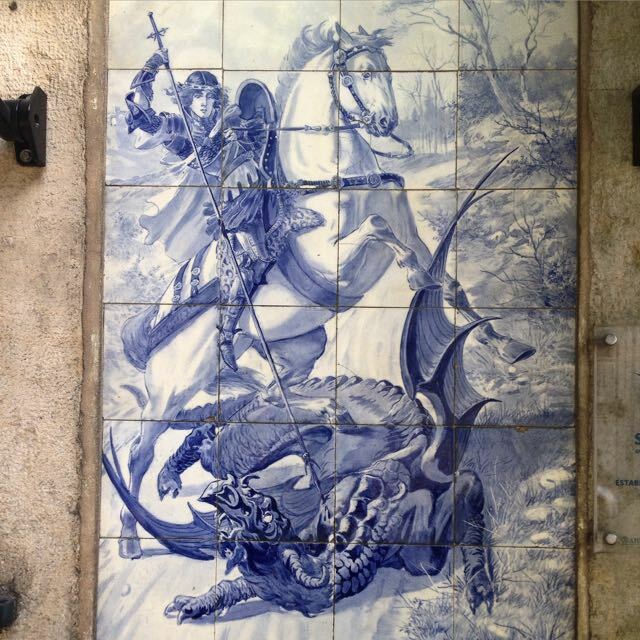 It's worth a wander inside to see the kitchen where the pasteis are made and also the azulejos are worth a look. 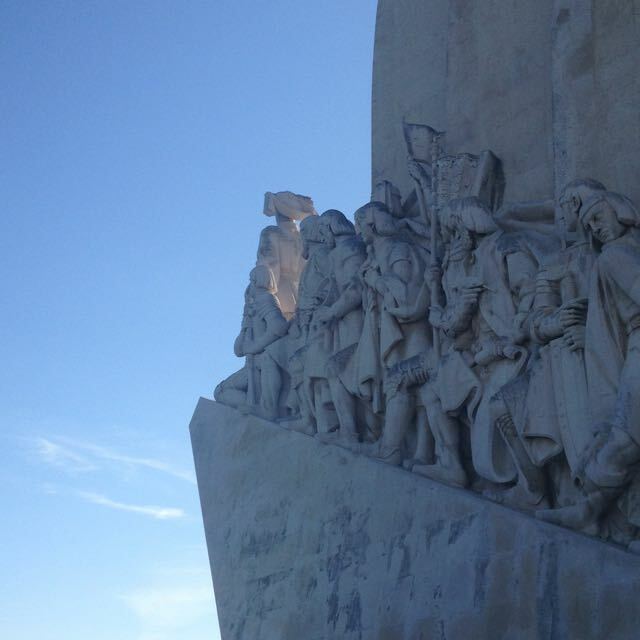 While in Belém, I'd take in the Mosteiros do Jeronimos and Museo Coleção Berardo, and you won't be able to miss the Padrão dos Descobrimentos (Monument to the Discoveries honouring Portuguese explorers). 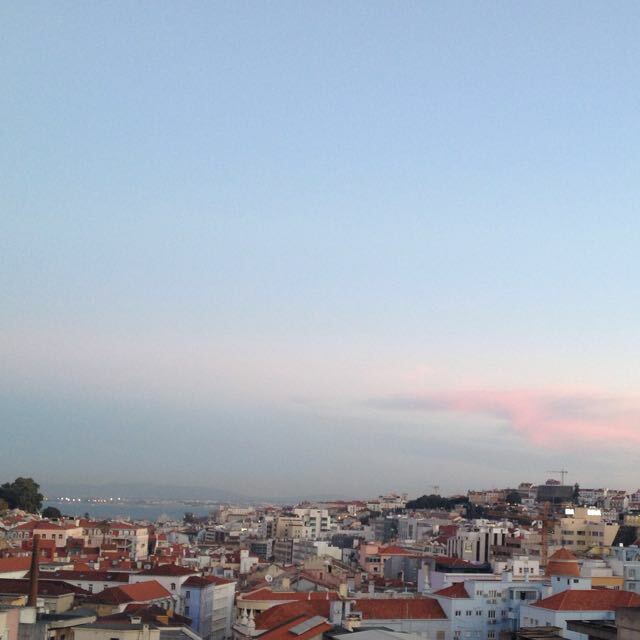 Lisbon, being built on seven hills, offers plenty of spectacular views. 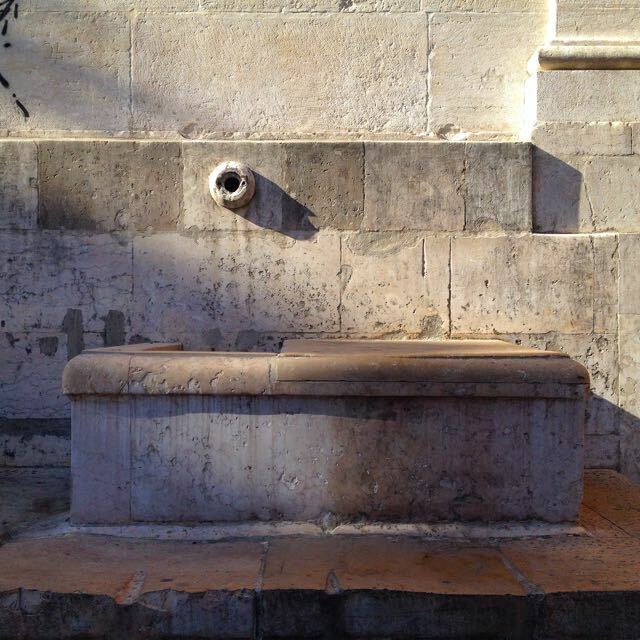 There are numerous Miradors (viewing areas) dotted around the city. My favourite is at Principe Real where there is also a decent cafe to get a cooling glass of orange juice after the walk up. Although we didn't go on this visit, Museu Nacional do Azulejo and Museu de Design e Moda (MUDE) are both well worth visiting. 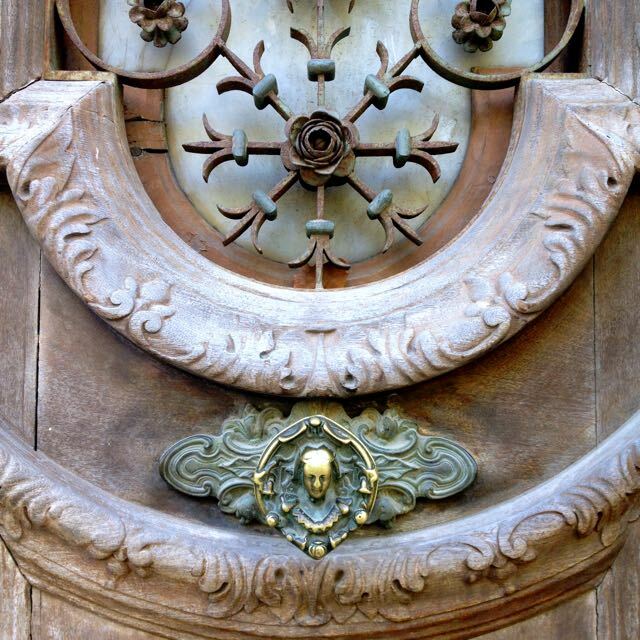 I talked about both in my 'Loving Lisbon' review in 2012 (link at the bottom of this page). 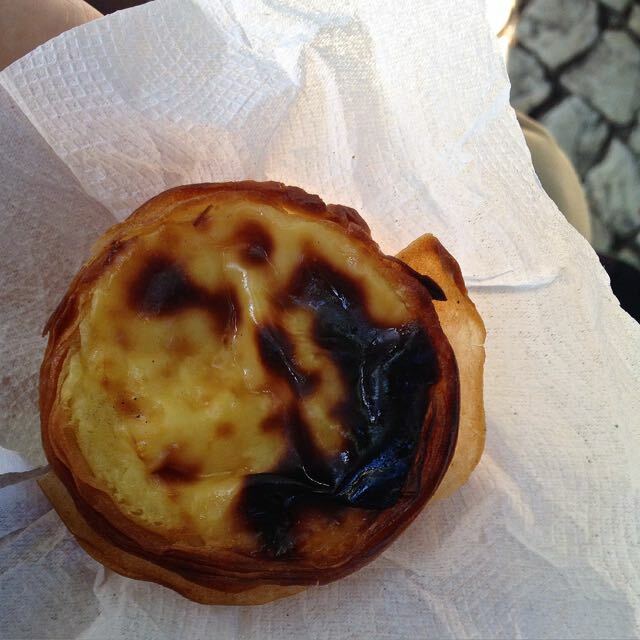 While a visit to Belem for Pasteis de Nata is a must, it's important to find somewhere close to hand. That little place on the corner that we always hope we'll find when we visit an unfamiliar city. This time we struck lucky with Balcao do Marquês, a friendly bakery/bar/cafe a few steps from our hotel on Avenida Duque de Loulé and similarly close to Metro station Marquês de Pombal. 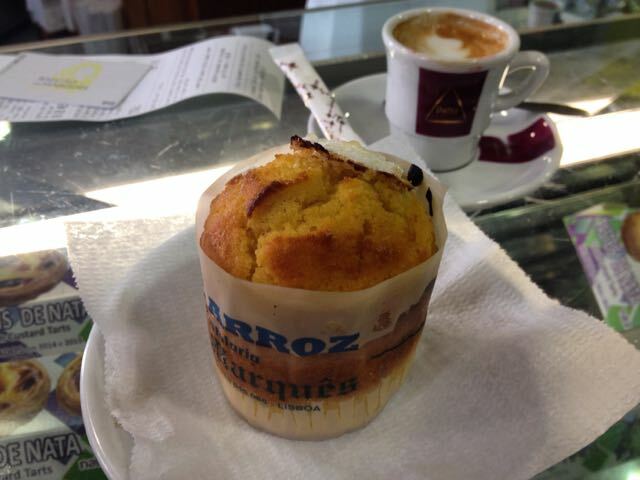 You'll get a decent Bica (espresso) or um Garoto (with a dash of milk, like a Piccolo) and a very good Pasteis de Nata or Bolo de Arroz while you watch the morning ritual of the locals buzzing in and out on their way to work, like bees around a honey pot. There's something melancholy about so many botanical gardens. Once important and valued institutions, these days their underfunding is often all too evident. 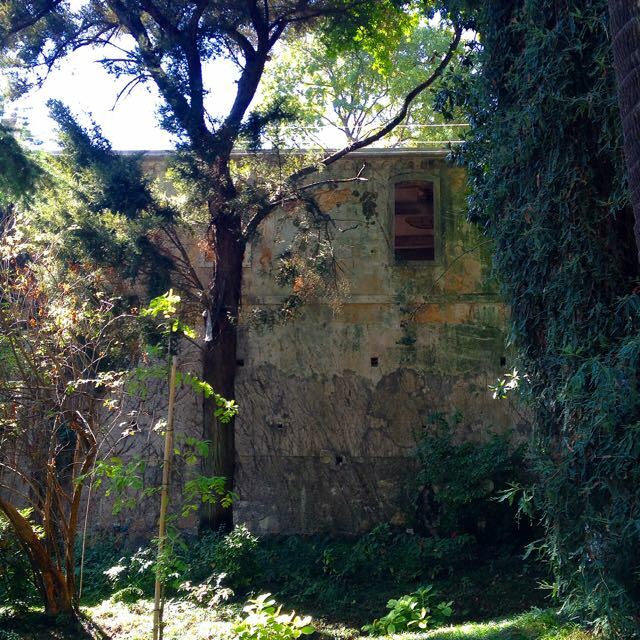 The Jardim do Botanico in Lisbon certainly has a melancholy air, despite the fact in 2010 it was considered important enough to be designated a National Monument. The number of dilapidated buildings surrounding its perimeter add to the atmosphere. Occupying some 10 acres in the Principe Real district, alongside the National Museum of Natural History and Science, it boasts 18,000 species of sub-tropical vegetation. It's a fantastic place to wander under the cooling trees away from the hustle and bustle of the city streets. A dreamy interlude I always seek out. The Chafariz do Vinho Enoteca was intriguing. The Chafariz da Mãe-de-Agua building it occupies sits at the bottom of two flights of steps leading up to Principe Real. Through the building's vaulted galleries and stone aquaducts water once flowed, the street outside giving public access to the supply. The restaurant is a useful place to choose from a list of 250 wines and enjoy a plate of above average Portuguese cheese and hams. We were lucky to eat some of the last exceptionally sweet green "honey figs" served simply warmed with goats cheese and honey. This place also has the advantage of being just moments from one of the top 100 jazz clubs in the world, Hot Club Portugal. The club is a welcoming place with entry a mere Euros 7.50 and very reasonable drinks prices. On our visit, Quarteto de César Cardoso proved to be a top class Portuguese jazz group led by saxophonist César Cardoso performing 2 sets. My biggest failure on this visit was running out of time to get to the LX Factory complex in Alcântara, about half way to Belém. A group of 19th century abandoned warehouses, is now a creative hub for artists, designers and photographers, as well as home to fashion, music and publishing businesses and open to the public for shopping, exhibitions, theatre, cinema, shopping and eating. I'd love to know whether this lives up to its promise so if any of you get there, or know it, I'd love to hear about it. There's plenty of hotel choice in Lisbon. We stayed at the H10 Duque de Loulé, opened earlier in 2015. A good-sized room, very comfortable, reasonably priced, quiet, great staff and a rooftop bar with a view down to the Tagus in the distance meant it suited us. That said, next time I'd be inclined to rent an apartment to take advantage of the beautiful produce I saw at Mercado de Alvalade Norte.